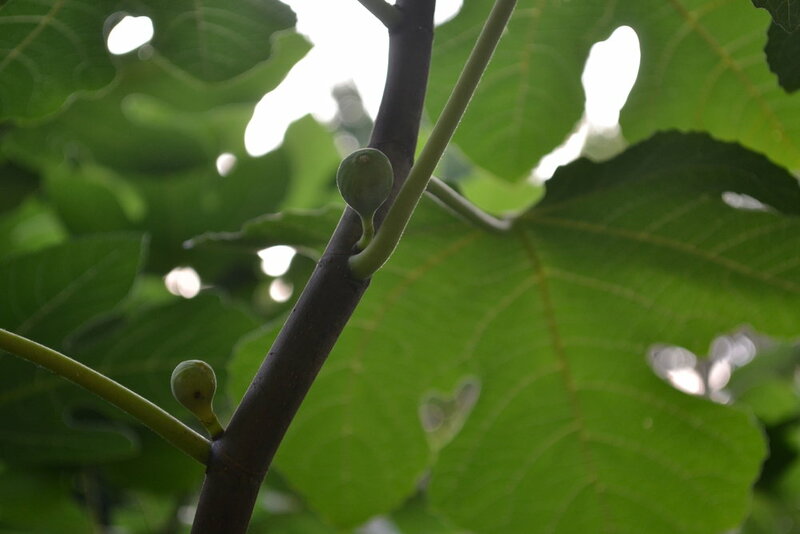 No seriously, the little green blubs in this photo are in fact figs and they are taking their sweet time ripening into their mature, juicy treat form. It's driving me crazy, I have big plans for them! I haven't posted in awhile and it's kind of a similar story. I feel like I've been waiting. For what I'm not quite sure, but something has been keeping me from posting recently and frankly I don't like it. Sometimes I think it's because I don't have enough time. Other times I think I choose not to blog because I'm not sure what I'm posting is "good enough" (whatever that means). I started this blog for myself, I need to remember that. This is first and foremost a place to have fun. So here I am, ready to have some more fun. I'm back from what turned out to be a much longer than planned vacation. How have you been?! I purchased some honey comb on our recent trip to Charleston, SC. Figs, honey comb and lots of cheese will be beautifully arranged together on a cheese plate like this one. This salad is just destined for lunchtime. Bourbon and figs are fantastic when combined. And I am willing to try my hand at making fig tarts from scratch.